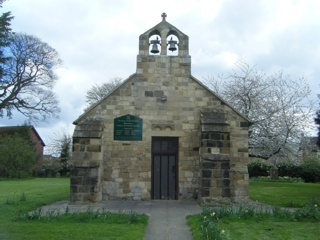 The Anglican parish church on the village green is of 12th century origin but a place of worship existed at the time of the Domesday Book of 1086. The unusual dedication to St Peter ad Vincula ('St. Peter in chains') is derived from the ancient Basilica of San Pietro in Vincoli in Rome. The building was originally dedicated to St Mary Magdalene. The GPR holds 23 grave and 69 person records for the burial ground.